The 40th Anniversary Weekend - 8 and 9 June 2019 - marks the re-opening of the line between Stogumber and Bishops Lydeard back in 1979. It is shaping up to be quite a mini Gala event going some way to compensate for the loss of this year's Spring Gala. The Railway has recently announced the visit of a former WSR favourite in the shape of GWR 0-6-0PT no 6412 from the South Devon Railway and the possible return of the popular GWR 4-6-0 no 7802 Bradley Manor from the Severn Valley Railway which the WSR would like to hire. Two other visitors planned to be in use are GWR 0-6-0PT no 7752 which is here for the summer season and Class 37 diesel electric no D6948 from the Gloucestershire Warwickshire Railway. Working along the visiting locomotives will be two home-based machines - one diesel and one steam. Class 35 diesel hydraulic 'Hymek' D7017 - which was working trains over the weekend in 1979 - and the impressive Somerset & Dorset Joint Railway 7F 2-8-0 no 53808 (the 7F will be on static display at Washford). All locomotives are subject to availability, of course. For more information please click or tap the button below to load the official webpage for this event. 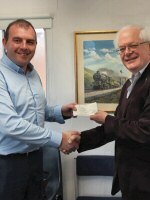 During a very productive meeting on 24 April 2019 between the Trustees of the West Somerset Steam Railway Trust and the West Somerset Railway Plc Chairman, a cheque for £5,000 as a contribution from the Trust towards the rail replacements at Blue Anchor was handed by the Trust Chairman, Chris Austin to the Plc Chairman Jon Jones-Pratt. 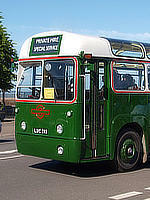 'Beside the seaside' say the folks behind the Minehead Bus Running Day on Sunday 12 May 2019 run in association with Quantock Heritage. The event will be based in the centre of Minehead and the plan is to run a few routes in and around this picturesque area of Somerset. 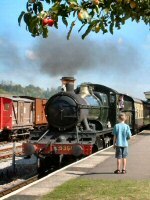 All services start and finish at the West Somerset Railway Station - bus departures from 10am until approx 4pm. Timetables and vehicle schedules will be available on the day. The West Somerset Steam Railway Trust's Museum at Blue Anchor Station will not be open during the present period as all trains and passengers are currently using the Up line through the station. This is due to the ongoing repairs to the Down line. Further information on the museum's opening times will be made available once the trackwork is completed. 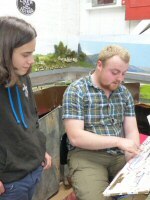 Are you perhaps a young railway modeller who is looking forward to enjoying the hobby with others? If so, why not come and join our operating team at Gauge Junction. 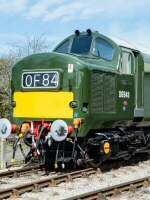 Class 37 diesel electric locomotive no D6948 is expected to move from the Gloucestershire Warwickshire Railway to the West Somerset Railway in the next two weeks to begin a period of hire working on the Minehead Branch. It will undertake a variety of work including scheduled passenger services, gala events and charters. Here is a provisional list of workings, with the usual caveats regarding timetable changes and loco availability. Updates will be posted as and when new information comes in. 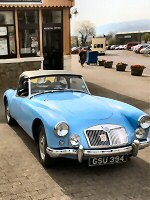 Classic cars will gather at Bishops Lydeard Station from 9am on Sunday 2 June 2019 and then depart at 11am on a 35 mile pre-arranged route through the lanes and byways of West Somerset, ending at Minehead Station from 12.15pm where the cars will be parked for the afternoon. 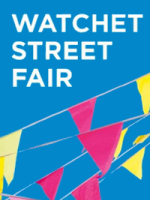 See the cars pass close to WSR locations at these estimated times: Crowcombe Heathfield Station (11.10am), Stogumber Station (11.20am), Williton Station (11.35am), Watchet Station (11.40am), Washford Station (11.45am), Blue Anchor Station (11.50am), Dunster Village (11.55am). Make a day of it - see the cars gather at Bishops Lydeard Station, then catch the 10.15am steam train to one of the above locations to see the cars pass and then catch a later train to Minehead. The Classic Car Run is open to all pre-1980 Classic Cars. Further details cad entry forms from the Run Organiser, Robin White robin215white@btinternet.com 01984 656423. 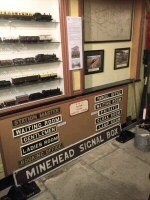 The museum is free to enter and, in addition to our family learning activities, we also offer an exciting collection of objects celebrating the glorious past of the WSR including our beautiful 1890s Sleeper Carriage, reproduction signal box and working model railway. 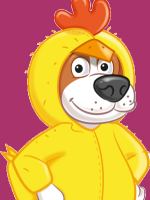 It is the 'Paw Patrol Meet and Greet' special event on the platform at Minehead Railway Station on Friday and Saturday this weekend - 19-20 April 2019. An added attraction to the event is a vintage bus service taking passengers from the station around the town. An open top Bristol Lodekka will operate over the two days between the hours of 11am and 4pm. 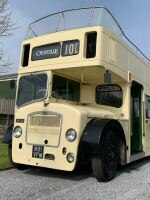 The bus has kindly been donated by Crosville Vintage, part of JJP Holdings South West Ltd collection. 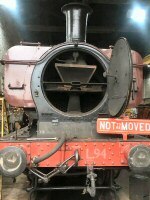 The West Somerset Railway Association has updated the blog detailing the final stages of the overhaul of the unique WSR 2-6-0 no 9351. Click the link below to load the Blog page. And listening to the Claire Carter morning programme on BBC Somerset Radio it was also very encouraging to hear WSRA Chairman Paul Whitehouse talking about this work and the recent successful fundraising efforts aimed at a return to service on the line at the end of May this year. See link below to listen again - Paul's interview starts at around 1 hour 56 minutes in. Easter holiday weekend will soon be here and if you plan to visit the railway at the weekend, why not pay us a visit at Gauge Junction? 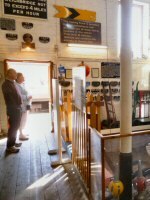 We are situated on the upper floor of the Gauge museum on platform 1 at Bishops Lydeard station and will be open every day from Wednesday 17 April until Monday 21 April from 10am to 4pm. Gauge Junction is a display which is being developed and operated mainly by the younger generation of the West Somerset Steam Railway Trust and the West Somerset Railway itself. During the Easter period our operating team will be displaying varied displays of mainly steam era models running a frequent service around our scenic exhibition standard layout. See the Steam Trust news page for more details and a selection of fine photos of the layout. Regular train services on the West Somerset Railway are a step closer after a scheme to trial weekend shuttles between Taunton and Bishops Lydeard has been awarded funding from Great Western Railway. Designed to help boost the local economy, GWR invited bids from its Customer and Communities Improvement Fund (CCIF) last Summer, and on 16 April 2019 three Somerset area winners have been revealed including the WSR's bid 'Exmoor Gateway' which has been awarded £60,000 and will fund trial summer weekend shuttles between Taunton and Bishops Lydeard on the West Somerset Railway. By providing a scheduled (seasonal) rail link between the national rail network at Taunton and the existing West Somerset Railway (from which trains already run to Watchet and Minehead), it will reduce peripherality and encourage more people to use the link as an alternative to driving on the congested A358 and A39 roads. We welcome the chance to work with our colleagues on GWR to bring more visitors to this lovely part of Somerset, and to enjoy the sight and sound of steam trains to the seaside. What better way to start a holiday or have a great day out. Linking Taunton railway station to the West Somerset Railway makes perfect sense. It will encourage more people to travel to the start of the route by rail as opposed to by car. I am delighted that GWR is supporting this initiative. As a local myself I have enjoyed many happy trips on this heritage railway and I hope that many others will be able to take advantage of this wonderful experience by benefitting from this new rail link. The West Somerset Railway really is one of the jewels in Somerset's crown. We at GWR recognise only too well the vital role that rail plays in local and the national economy, and I am delighted that we have been able to continue to support the communities we serve with this funding. All the proposals were presented to a panel of representatives from GWR's Customer Panel (made up of local customers), the Advisory Board (made up of local stakeholders), and the executive management team. Final recommendations were then put to the Department for Transport (DfT) for approval. Supported by the DfT, the Customer and Communities Improvement Fund (CCIF) was established to recognise and back projects identified by the communities where GWR operates, with projects requiring local authority match funding. With match funding, the total investment being made in the Somerset community will top £144,000. 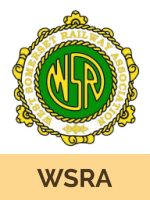 The West Somerset Railway Association has published a brief synopsis of the Trustee Board meeting held on 8 April 2019. To read more, please click or tap the button below. The West Somerset Railway Association are delighted to announce that they have met the fundraising target to put bring GWR locomotive 9351 back into service in time for the Summer Season. 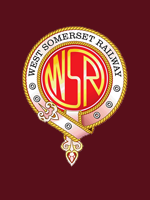 When the West Somerset Railway plc ran into financial difficulties over the winter they asked the WSRA, the line's principal supporters' organisation to help. 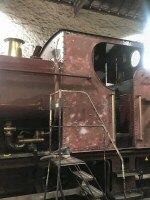 This has involved raising £18,000 from supporters in a few months and carrying out the work, including some complex engineering, at their restoration base at Williton. We are very grateful to the WSRA who rose to the challenge we set them, raised the money and are getting the work done. It shows what we can achieve if we pull together as a united Railway. I look forward to agreeing further fundraising targets with the WSRA in future. We could not have done this without support from over 70 individual donors and the work of volunteers and staff, particularly Ryan Pope and his team at Williton Works. Because we are a registered Charity the UK government has contributed over £3,000 of the total via the Gift Aid scheme which adds 25% to donations from UK tax payers. We stand ready to help where needed. 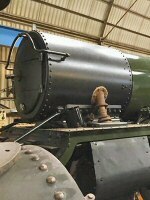 The West Somerset Railway are pleased to announce that GWR 0-6-0 pannier tank No 7752 from Tyseley Locomotive Works will be joining our WSR steam fleet for the 2019 season. 7752 arrived on 9 April and has been placed into the shed for repainting into Great Western Railway livery before entering traffic later on in the season. Further announcements and information regarding 7752 will be placed on our website as and when they are available. We are very grateful to our friends at 7029 Clun Castle Limited at Tyseley Locomotive works for the loan of this locomotive, and are looking forward to having the pannier tank forming part of our regular steam fleet of locomotives in 2019. We have now secured the use of Class 31 no 31163, which is currently running in RTC colours as 97205, courtesy of the team at the Chinnor & Princess Risborough Railway. Along with the 31 are two GBRF Class 73/1s, which have very kindly been loaned to the WSR for use at the Gala free of charge by our friends at GB Railfreight. These three locos are planned to arrive on the WSR in a rail movement from Kidderminster (SVR) worked by GBRF and likely to bring a Class 50 to the line. Unfortunately current restrictions on the lines axle loadings mean the 50 will have to remain on display at Bishops Lydeard. 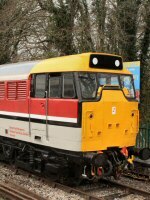 This will complete our line up for the 2019 Diesel Gala, with Class 14 no D9526, Class 25 no D7535 from South Devon Railway, Class 31 no 31163/97205, Class 33s D6566 and D6575, Hymek Class 35s D7017 and D7018, Class 37 no D6948 from Gloucestershire Warwickshire Railway and two Class 73s (identities to be confirmed). Perhaps the star turns are the two Hymek diesel hydraulics, running together for the first time since D7018 suffered a catastrophic failure in August 1995. The Diesel & Electric Preservation Group team at Williton have painstakingly rebuilt the loco, including a replacement engine, and it'll be a very proud moment for them to see their two Hymeks out together once again. Despite the recent disappointments over not being able to host the larger locos originally planned we now feel we have the makings of a good weekend and hopefully you'll want to visit the line and support the WSR on its road to recovery. The Gala Planning Team are very pleased to be confirm that an old WSR stalwart from the past, in the form of GWR 0-6-0PT no 6412, will be returning to the line for the 40th anniversary of reopening between Stogumber and Bishops Lydeard gala on 8-9 June 2019. 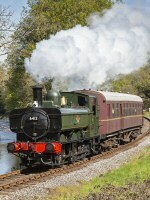 The loco is kindly being loaned for a return visit to the WSR by the South Devon Railway. This loco will be joined by several other locos form the WSR home based fleet, including SDJR 7F no 53808, which was already based on the WSR although under restoration back in 1979 and Hymek diesel-hydraulic no D7017 which hauled a number of the services on 9 June 1979 following the failure of one of the Bagnall saddle tank steam locos then working many WSR services. The Diesel & Electric Preservation Group's Hymek has now spent over 40 years based on the WSR, far longer than its 13 years with BR Western Region. The full loco line up is yet to be confirmed but is planned to also include visiting Class 37 no D6948 and at least two others from our steam fleet. This promises to be a great weekend on the WSR as we celebrate what has already been achieved since 1979 and look forward to a brighter future. The West Somerset Railway Association Annual General Meeting will be held at 2pm in Crowcombe Hall on Saturday 13 April 2019. There is plenty of parking on site. The number 28 bus stops a few yards from the hall. The nearest WSR station is Stogumber. 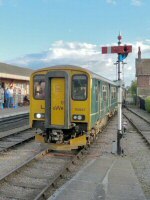 WSRA members may travel from any WSR station (Watchet to Bishops Lydeard) to Stogumber on that day, free of charge on presentation of a valid WSRA membership card. A heritage bus will meet the 12.15pm from Bishops Lydeard on arrival at Stogumber Station at 12.39pm and the 1.10pm from Watchet at 1.32pm and take members to the Crowcombe Hall, which is booked from 1pm. The Carew Arms is a short walk through the village, should members which to partake of a little sustenance before the meeting. Tea and coffee will be served at the Hall. Following the meeting the heritage bus will take members directly back to Bishops Lydeard, because the last up train leaves Stogumber at 3.32pm and it is not anticipated that the meeting will finish in time to deliver members back to Stogumber to take the train. If the bus is oversubscribed, offers of transport from member with cars, would be much appreciated. The no 28 Bus also departs Crowcombe at 45 mins past the hour en route to Bishops Lydeard and Taunton. Offers of lifts from members with cars returning to Minehead would also be appreciated and the no 28 bus departs Crowcombe at 55 mins past the hour en route to Minehead. The Trustees look forward to welcoming members to the meeting. Join West Somerset Railway for some Easter fun from now until 22 April 2019. 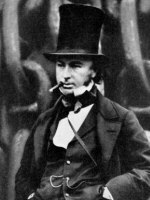 Brunel needs your help! The Easter Bunny has hidden five letters at five of our stations. Can you find the letters and work out what the word is? When you have collected all the letters and you guess the word, show your answer to the staff in Watchet Station building or Bishops Lydeard shop to receive a small prize. Courtesy of Tyseley locomotive works, GWR 0-6-0PT no 7752 will be joining the West Somerset Railway steam fleet for the 2019 season. It should arrive by road at Minehead on Tuesday 9 April 2019 and put straight into the works for a few repairs before entering traffic shortly afterwards. No 7752 is currently wearing the eye-catching 'London Transport' livery. 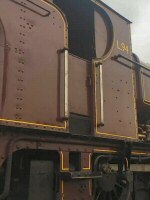 Reaction to this news across social media has been favourable and will encourage many to visit West Somerset for a ride behind this locomotive. The West Somerset Steam Railway Trust is moving forward with the planning of the Gauge Museum Project and is starting to look at the various tasks that are to be carried out during this coming November and the beginning of next year. It is the first time for many years there is an opportunity to completely refurbish the Gauge Museum. As you will all appreciate there is a lot of work to do including the removal of all wall mounted exhibits and the complete repaint of the inside of the museum building. Between now and November the planning process is continuing in partnership with Smith and Jones who are museum and interpretive exhibition designers and are providing much support and ideas as to a way forward. It is the Trust's intention that once the refurbishment is finished the museum will display the railway's story and provide a learning experience for schools as well as holding much of the railway's valuable memories. If you would like to be involved with this exciting project, we would be very pleased to welcome you into the Gauge Museum team, for more details please email info@wssrt.co.uk or telephone 07742 655 339. 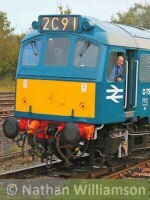 As a further update I am pleased to be able to confirm that agreement has been reached with South Devon Diesel Traction for Class 25 no D7535 (25185) to visit the WSR for the Diesel Gala on 20 to 23 June 2019, becoming the latest addition to our planned line up. The sound of the little Sulzer working on the lines steep gradients will be a welcome one and remind of us of the once home based sister loco D7523. 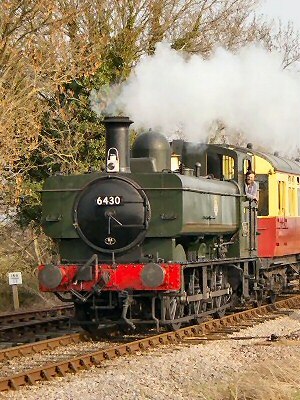 The loco is normally based at the South Devon Railway, Buckfastleigh having moved there from its former home on the nearby Dartmouth Steam Railway in 2018. 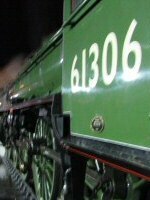 The WSR Gala Planning Team would like to extend their thanks to the SDR team for agreeing to the visit. Along with recently announced Class 37 no D6948 and home based Class 33s nos D6566 and D6575 and Hymeks nos D7017 and D7018 and class 14 no D9526 the loco list is growing despite disappointments of the class 46 and 50 not being able to attend. There are still a few more loco options that I'm working on to complete the picture and I'm hopeful of being able to confirm these quite soon. Our thanks to Nathan Williamson for the use of his image of D7535. 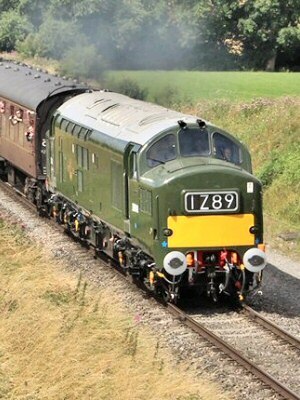 We are very pleased to announce that Class 37 no D6948 from the Gloucestershire & Warwickshire Railway is visiting the WSR for an extended period between late April/early May and July (dates to be confirmed) and will operate at the diesel gala and also our 40th anniversary of the reopening to Bishops Lydeard event on 8 and 9 June. It is also planned that the loco will run on some other dates, but these are yet to be finalised. This will be a unique opportunity to ride behind D6948 and experience the sight and sounds of an English Electric class 37 working hard as it climbs the gradients of this scenic west country route to the coast. Class 37s have a particular niche in WSR history, as they were the staple motive power for the heavy stone trains which operated from Westbury to Minehead in the late 1990s and early 2000s. The route also has special significance for D6948, and for some her owners and Group members too, as the coastal section from Watchet to Minehead will bring the loco within sight of her 'traditional' home in South Wales once again - being a Cardiff Canton engine for the majority of her working life. Due to the substantial recent increases in road transport cost for locomotives of this size, this is likely to be the last time one of the Group's locomotives will be able to visit another railway away from our Toddington base. The visit has only been possible on this occasion through private sponsorship of part of the transport cost, so we would encourage everyone to make the most of the opportunity. The Group would also like to thank the WSR and the DEPG for the invitation and are pleased to be able to help support the WSR in such an important year in its recovery. I am continuing to work on several other locos for the gala and I am awaiting final approval on some of these with the new weight limits. I still hope to have 12 locos working at the gala so plenty to see and enjoy, plus don't forget the beer and cider festival. After a successful boiler examination and hydraulic test of superheater elements and header, WSR 2-6-0 no 9351 continues to make good progress at the Swindon Shed at Williton. 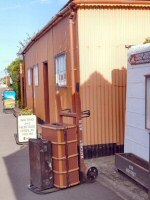 Extra volunteers always welcome at Williton. The West Somerset Railway Plc Board have appointed Martin Brown as Safety and Compliance Director. This appointment has come after Mr Brown held an initial advisory position to assist with Safety and Compliance across the railway. I am really excited to be joining the new Board of WSR as their Safety and Compliance Director. I am sure i can bring my experience to the role to ensure we can maintain a real heritage experience while delivering a 21st Century safety set up. Martin has been an integral person within our winter works programme and has proved invaluable through what has been a very busy period for the railway. The collective feeling across the Board, was to appoint Martin as Director, and we are looking forward to continuing to benefit from his expertise and enthusiasm for the success of the railway. The trains aren't the only thing up and running on the West Somerset Railway. This week local schools were sent their first look at the new learning offer due to launch at the Gauge Museum, Bishops Lydeard later this year. Providing opportunities to explore local and national History, the programme also includes exciting links to the STEM subjects too. Family visitors have not been forgotten either. 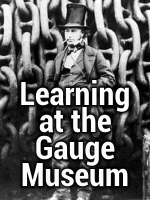 The Gauge Museum has just launched its first family fun trail - just in time for the Easter Holidays! 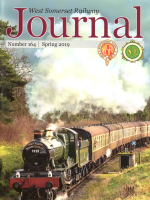 A good insight into the current work and direction of the West Somerset Railway Association can be read in the recently published Minutes of the February 2019 Meeting of the Trustees. Also available for download from the Documents page are the 2019 AGM papers. 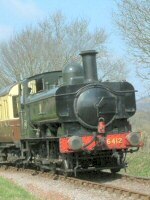 Journal no 164 has been distributed to members of the West Somerset Railway Association. The 80+ page edition has all the news, lots of pictures and many excellent articles, and is perhaps one of the most informative and positive Journal for many many years. Association Members will have also received notice and agenda of the WSRA AGM to be held on 13 April 2019 along with supporting documents including the proxy form. We encourage members unable to attend the AGM to complete the proxy form as, this year, we understand it is likely a poll will be called for each resolution to ensure non-attending members actually have their say. The Trustees set aside £20,000 to fund the refurbishment of the Bishops Lydeard loading point. That work is now complete. The Trusts and Foundations fundraiser, has raised £300 towards the cost of the recent Safety Critical staff training day and £3,000 for first aid courses. The WSRA will assist the WSR Plc by running these courses in 2019. The WSRA's first facebook fundraising campaign secured £700 to cover the cost of transporting donation points machines to the WSR. Having already secured the cost of patterns for four new Bristol and Exeter style station signs, £2,800 has so far been raised towards the £3,200 cost of the castings. The WSRA took on the task of re-assembling locomotive no 9351 at West Somerset Restoration in Williton and the Trustees also undertook to secure the funding for the project. WSRA have been fundraising both online and offline and currently around £17,000 has been raised, including gift aid, and it is anticipated that the total cost of £18,000 will be achieved within the next couple of weeks.